As you might expect, Miami's calendar of seasonal events makes the most of the Florida sunshine, but it also includes some top-notch cultural happenings. 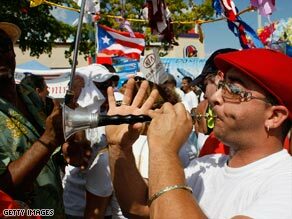 Little Havana comes alive for the Calle Ocho Music Festival. South Beach Wine and Food Festival (February)Fancier than any food festival you've ever been to, this glammed-up four-day eat-a-thon isn't for the faint of wallet. As well as all the cooking demos and food tasting that you'd expect, there are also some very special events, such as the BubbleQ beach barbeque, which will set you back $350. What started out as a back-slapping get together of dance industry insiders has turned into the biggest party of the year. Big-name DJs and producers from all over the world gather in Downtown and Miami Beach for a long weekend of seminars, workshops, music and dancing. There's head-to-head DJ battles at the WMC DJ Spin-Off, full-on club sessions, and plenty of hedonistic poolside, and ocean-side, partying. The climax of Carnaval Miami is this Latin American street festival in the heart of Little Havana. There are countless stages and sound systems pumping out salsa, merengue and reggaeton, but this is a family-friendly affair and also has a KidzZone, with a bevy of clowns and magicians. The hundreds of street vendors selling delicious empanadas, barbequed meats and ceviches mean there's no chance of you going hungry. While Miami might seem an unlikely candidate for the moniker of 'cultural center,' in recent years it has developed a burgeoning art scene. Art Basel Miami is the Miami spinoff of its Swiss namesake and is one of the biggest contemporary art fairs in the world. The main fair takes place in the Miami Beach Convention Center, with representatives from more than 200 international galleries showing pieces by the likes of Damien Hirst and Tracey Emin, and even the odd Picasso. But the real fun is in the many satellite fairs, such as Scope, Pulse and Nada, which focus on exciting young talent. It doesn't matter if you can't afford to buy anything -- instead, focus your efforts in sneaking into the after-show parties and making the most of the free cocktails and canapés. Tired of the South Beach beautiful people posing in their designer duds? Then the King Mango Strut could be what you're looking for. The Strut is Coconut Grove's annual alternative street parade -- a kind of anti-carnival carnival that doesn't take itself too seriously. Expect political satire of the juvenile variety and eccentric paraders in comical costumes. Past parades have included such treats as The Synchronize Briefcase Brigade, The Million Chad March and the Booger King, and the parade is followed by an evening of performances by bands all over Coconut Grove, in what's known as the "Musical Massacre."